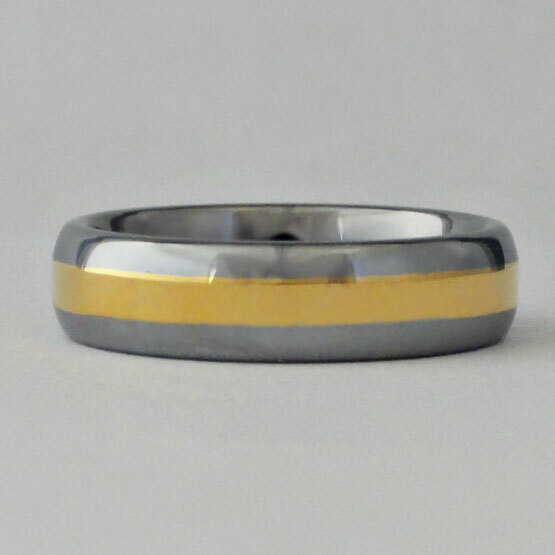 This men's ring is made of Tungsten Carbonite with a Gold Plating Band-Ring around the center for a 'wedding' look. These measure approx. 1/4 inch wide and come in a variety of sizes.